If more than 80% of the dessicants have turned green, these will need to be changed. Turn off the Ozonator and the pump. Important: Unplug the Ozonator first. Never unplug the pump when the Ozonator is running. Stop the water flowing to the pump and the Ozonator by closing the connection valves or replacing the debris screens with the stopper plugs on the pool. Push up and remove the air-dry tube from the Ozonator. Unscrew the air-dry tube cap. Replace the desiccants with new into the air-dry tube and seal the cap. Replace the air-dry tube into the Ozonator. To begin the operation, start the Filter Pump or Sand Filter according to the Owner’s Manual. For Filter Pumps, bleed the air purge valve before operating. The dessicants will need to be checked on a regular basis depending on usage. Normally an electrical issue or by using your Ozonator with the incorrect filter pump. 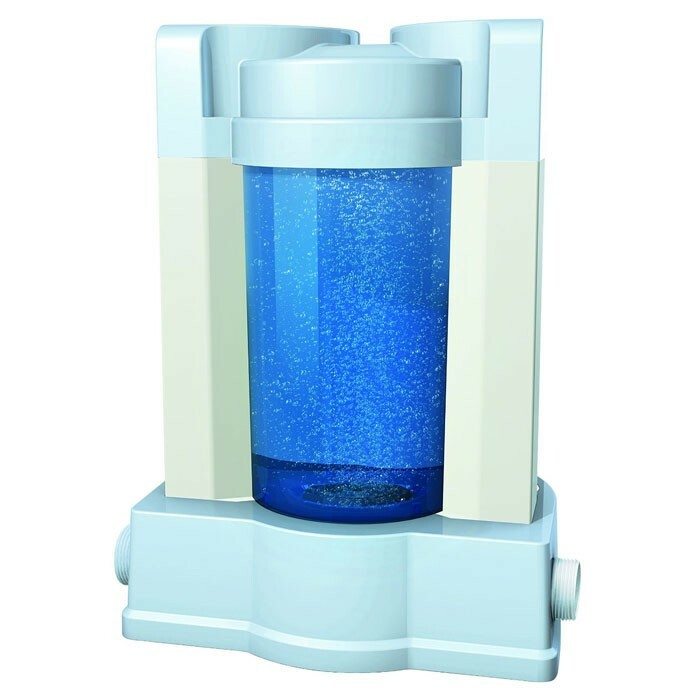 Sand Filters: 1000 gal/h (3785L/h), 800 gal/h (3029L/h), 530 gal/h (2006L/h). Filter pumps: 1500 gal/h (5678L/h), 1000 gal/h (3785L/h), 800 gal/h (3029L/h), 530 gal/h (2006L/h). When is it necessary to change the desiccants? The desiccants are housed in the air-dry tube and are designed to change colour when they absorb moisture. Based on the chart on the air-dry tube, when more than 80% of the desiccants are green, maintenance is required. The colour of the desiccants must be checked regularly. How do I change the desiccants? How often do I need to check the desiccants? The colour of the desiccants must be checked on a regular basis, depending on usage. Can I operate the Ozonator when more than 80% of the desiccants become green? Never operate the Ozonator when more than 80% of the desiccants in the air-dry tube are green as this will shorten the lifespan on the air-dry tube. This will also cause a decrease in the Ozonator production. You can refer to the label on the air-dry tube: When the desiccants above the red line turn green, you must replace them. How can I choose the correct pump for my Ozonator? Our Ozonator come with a standard warranty period. This is so that you have the peace of mind that in the unlikely event that you were to experience an issue, we are here to help you. Ozone (O3) is sometimes called ‘’Activated Oxygen’’. It contains three atoms of oxygen rather than the two atoms we normally breathe. It is the second most powerful sterilizer in the world and can be used to destroy bacteria, viruses and odours.